This season, our church family can reflect on the countless blessings that have come to fruition because of our Daring Faith. Since we launched the 36-month campaign in May 2015, we’ve seen lives changed, communities reached, faith stretched, and God honored because of our commitment to grow in faith like never before. 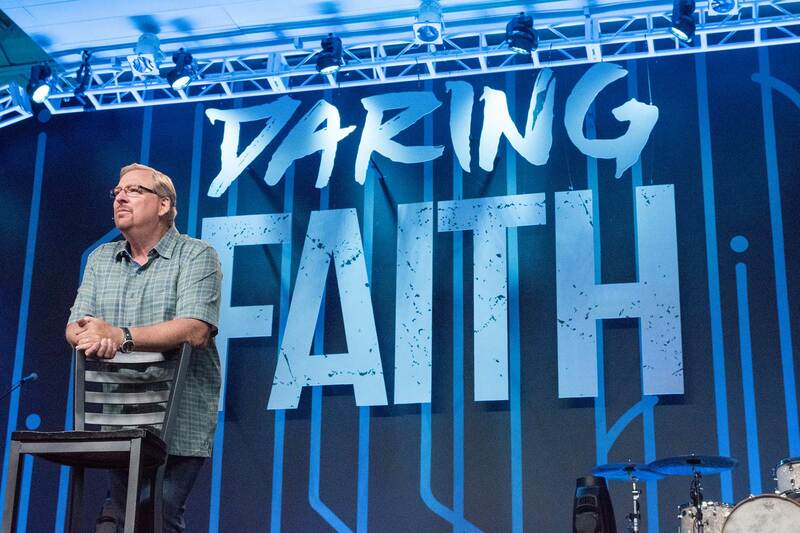 As Saddleback’s eighth and most ambitious campaign, Daring Faith is more than an initiative. It’s an invitation to put our faith into action, to step up and make a global impact because of our confidence in God being God. Daring Faith is our opportunity to have the courage to invite a neighbor to church and FILL GOD’S HOUSE. It’s our chance to be the hands and feet of Jesus, by ASSISTING THOSE IN NEED through this month’s Food Drive, or by volunteering at our PEACE Center. Daring Faith is our invitation to give boldly so we can INTERCONNECT our members through cutting-edge technology and mobile apps that are setting the standard at churches across the world. It’s our moment to say “equip me” to be TRAINED as a leader—and to simply commit to joining any of the 13 training events that happened this month alone. It’s our open door to HELP TAKE THE GOOD NEWS to the last 3,000 unreached tribes on earth, by being part of a PEACE trip, just as 1,128 other members have done since we launched Daring Faith. There are no excuses. There are no reasons that can ever overpower the sacrifice Christ made for us. Now is our chance to live out Ephesians 3:12 and declare, “LORD, because of our faith in YOU we dare to have boldness, courage, and confidence in coming to YOU with freedom and without fear." 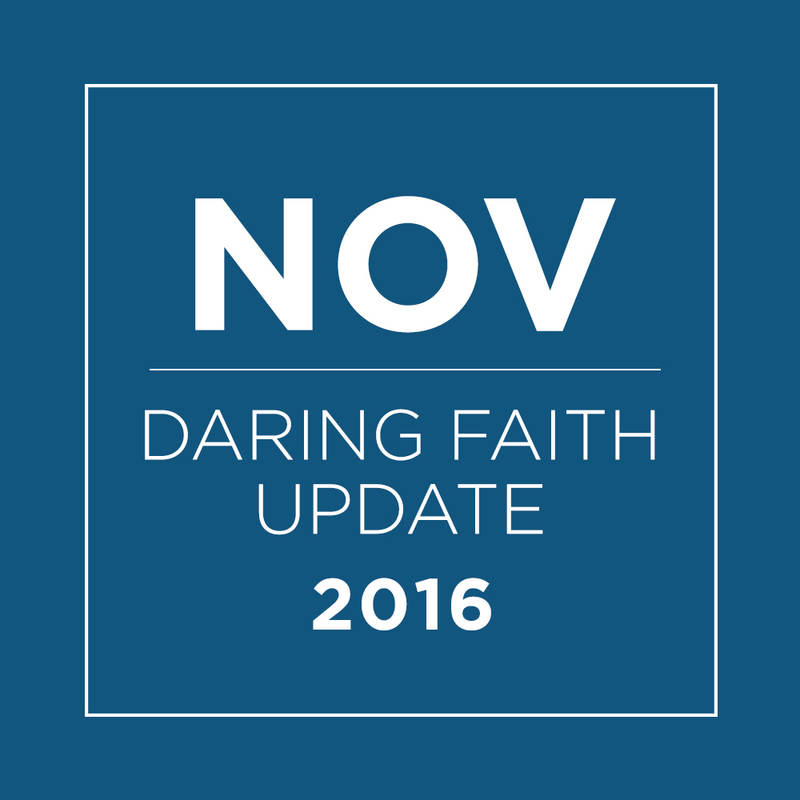 This November, we had many examples of members who dared to have boldness, courage, and confidence through Daring Faith. Read our feature story HERE about one member’s journey that took him from watching the summer Olympics to reading the Purpose Driven Life, and finally to Saddleback South Bay. Below are just a few of the amazing accomplishments that happened this month because of your generosity and daring faith. Since we started Daring Faith, we’ve launched four new campuses, strengthened all our existing campuses, strategically relocated three campuses, and found permanent buildings for several of our church homes. What many people may not realize is that Saddleback Irvine North was birthed out of our Daring Faith campaign, and launched just one week after Saddleback’s 35th year anniversary celebration. In the brief time that Irvine North campus has been running, they’ve become Saddleback’s fastest growing campus and the fifth largest regional campus outside of Lake Forest! In fact, Irvine North is the only regional campus to have balanced all five purposes within the first year of existence. During that time, they’ve had 87 baptisms, 178 salvations, and an average 800 weekly attendance. Click HERE to read our interview with Irvine North Pastor DJ Crawford about his commitment to help build a campus of daring faith. There’s no slowing down for new campuses in 2017. Click HERE to read all about the Saddleback line-up across Southern California, and the campuses set to launch in the New Year. Moving toward our Daring Faith “A” goal, this month we hosted our annual Holiday Food Drive. This year, all of our regional campuses participated in the Food Drive, including our newest campus in San Diego, which requested blue barrels to fill with donations. Click HERE to read about the November success of this outreach and how it has served as the impetus for our existing Food Pantries. In another act to serve our community, Saddleback volunteers took part in the Thanksgiving GRIP (Gang Reduction Intervention Partnership) event on November 14 and 16. Over the course of those two days, our volunteers packed and delivered 850 meals to 50 schools across Orange County. Read all about it HERE. 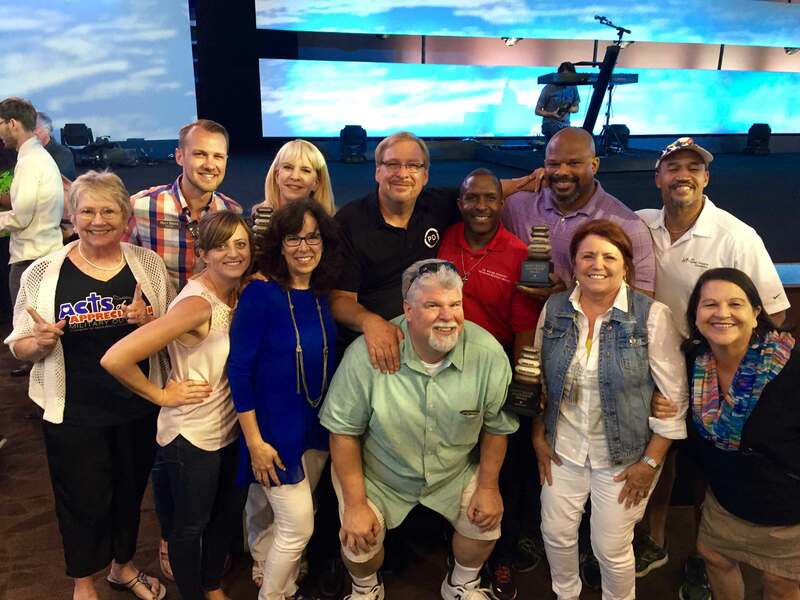 Stepping up to help fulfill the “I” goal are Saddleback’s IT and web teams who are preparing to release new online tools, websites, and apps for personal renewal and DriveTime Devotions. Downloads are increasing daily as members become aware of the new features. As of mid-November, there was a 219% increase in web traffic and 2,200 app installs. Read all about the new releases HERE. Between all 17 of our campuses, we now have over 800 ministry opportunities where you can serve and train to be a leader. Click HERE to read some of the exciting ways our members are getting equipped to impact the world! 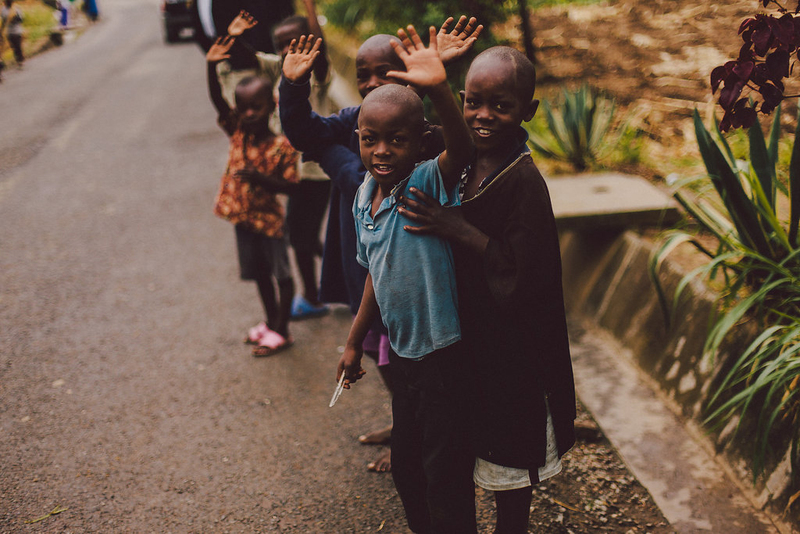 In an effort to reach our “H” goal, Saddleback has implemented a near-neighbor strategy in Rwanda, to connect with local churches and go beyond what Saddleback can do alone. Currently, this strategy is being put into action through Purpose Driven Church training, and Saddleback’s Orphan Care Initiative. A giant leap toward this objective took place on November 1st when PEACE leaders in Rwanda were commissioned to reach all UUPGs around the world. This strategic transition of leadership brought about a renewed focus on church health, and on helping families become stronger. Read the story HERE. To help spread the Good News, Saddleback has partnered with international churches to fulfill the Great Commission across the world. 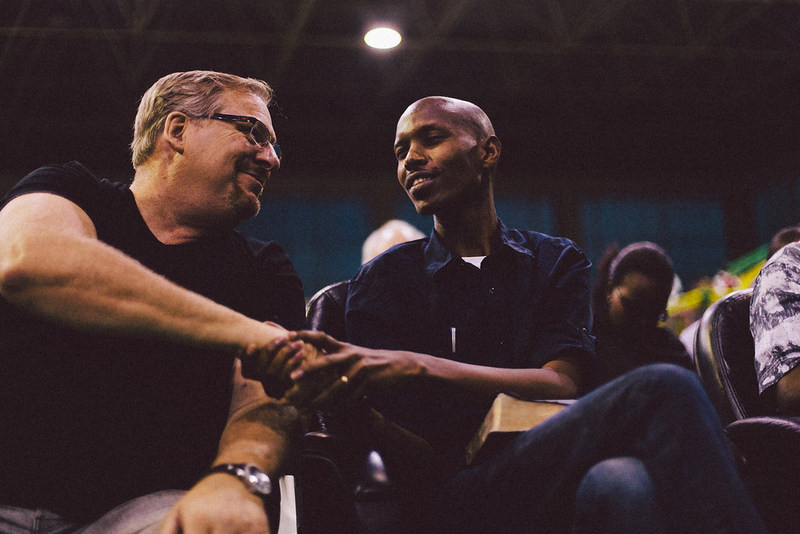 After Saddleback committed to equipping Rwanda as a Purpose Driven nation, other churches have stepped forward to install the PEACE Plan and PD in other African countries. To date, 21 international partnering churches (IPCs) have accepted the role of teaching national church leaders PD strategies, and tools to reach communities and UUPGs. Click HERE to read all the exciting new developments. With so many lives changed and so many blessings of Daring Faith, we have so many reasons to say, “I LOVE MY CHURCH!” Let’s keep our hearts focused on the incredible things God has in store for our personal renewal in 2017. Together as one church family, let’s continue to unite during our 34 Days of Seeking God, which kicked off November 21. Over 22,000 members of our church family have already committed to invest five minutes a day, three times a day, in a conversation with God between now and Christmas Eve. Click HERE to learn more. Thank you for your commitment to Daring Faith and for being part of a church that dreams and dares to do big things! 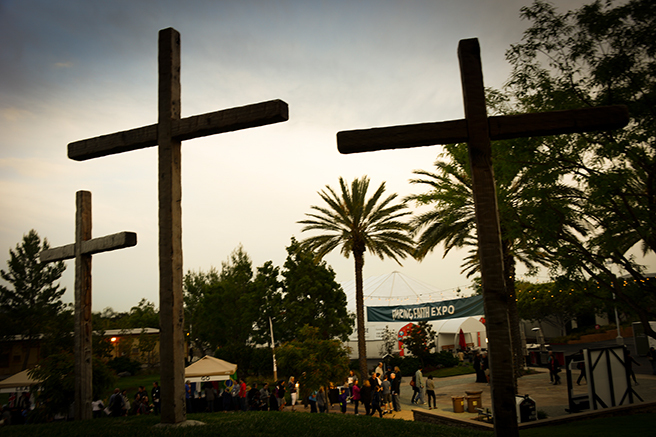 Read all our Daring Faith stories at saddleback.com/daringfaith.